Expanded Children's Museum of Denver Grand Reopening | More Crunchy Beach Mama! We’ve been in the Denver area for exactly a year now and have been slowly going through our ‘need to visit’ bucket list. The Children’s Museum of Denver is near the top of that list and every time we drive by the boys yell we need to go! I’m excited to announce that they have six new exhibits and have expanded their building. The Grand Reopening is on Friday, November 20th so mark your calendars! I will get a chance to visit before then and report back to you. Play, Learn, Grow Play and learn together at the Children’s Museum of Denver! Every visit is different than the last with changing monthly themes, daily educational programming and interactive exhibits. Explore fun-filled months like Messin’ Around, Wild West, Blast to the Past and Winter Wonderland and discover programs like Backyard Explorers, Super Science Sunday, StoryTime and more! 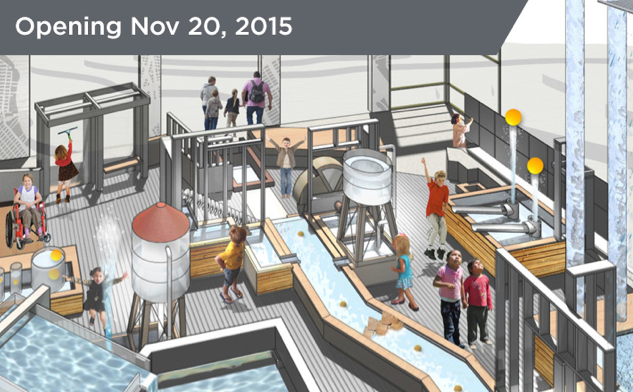 Have you visited the Children’s Museum of Denver before? I partnered with USFamily Guide and the Children’s Museum in exchange for tickets for my family.